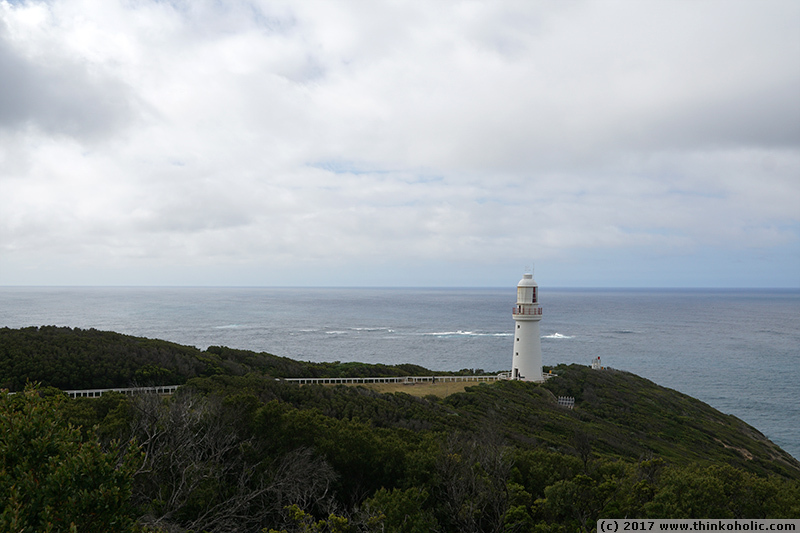 on our great Great Ocean Road road trip, we happened to visit the cape otway lighthouse. 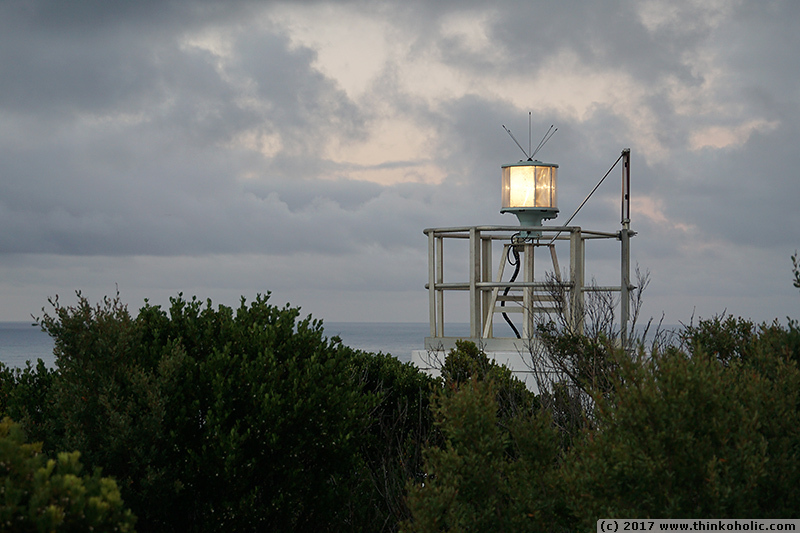 i was actually not very interested in lighthouses when we visited the area (and much more excited about the almost guaranteed koala sightings along the road to the lighthouse), but the entrance fee was included in our accommodation and we decided to checked it out. good decision! it’s a fascinating piece of engineering, and worth talking to a visitor guide who will explain its history and functioning! 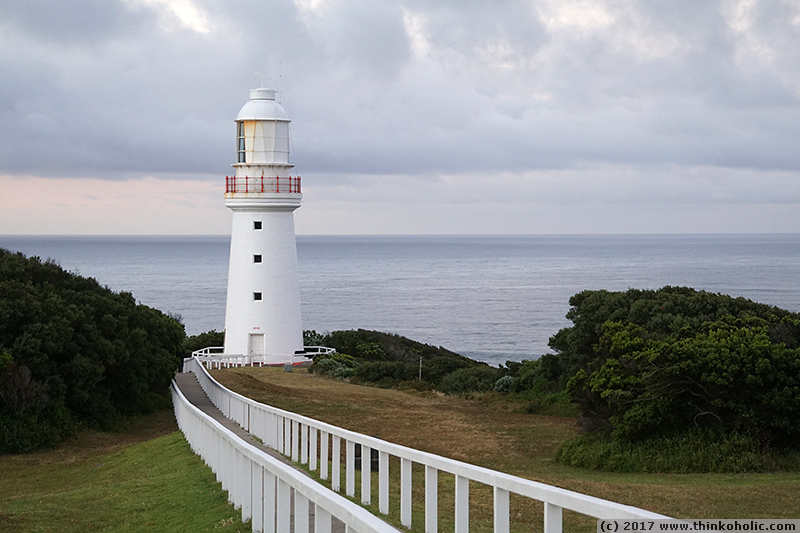 cape otway lighthouse was built in 1848 and is the oldest remaining light house on mainland australia. originally, the lantern consisted of 21 argand oil lamps (fueled by whale oil) and parabolic reflectors, and was visible from up to 55 km (30 nautical miles) away. in 1891, the lantern room was upgraded to kerosene lamps and first-order fresnel lens lantern. fresnel lenses, developed by augustin-jean fresnel, are convex lenses that are broken down into concentric lens sections, significantly reducing the lens weight and absorption of light by the lens itself. 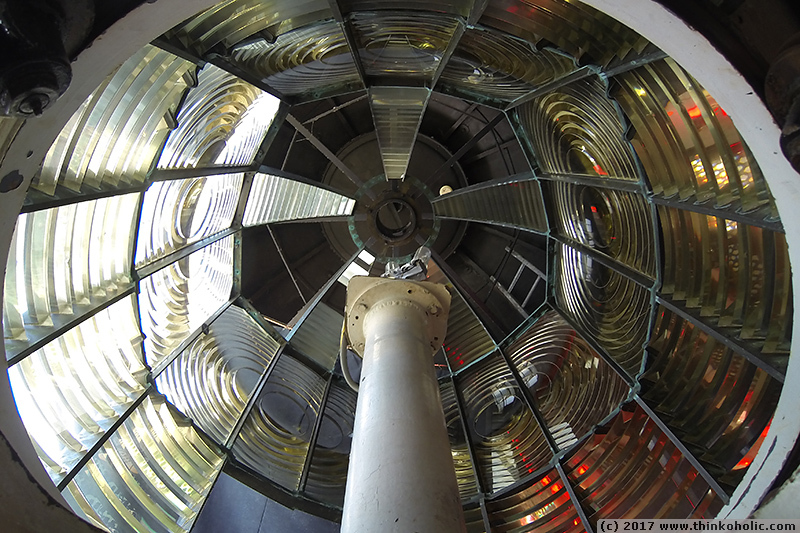 the lighthouse’s fresnel lenses contain 3 tonnes of hand-polished and hand-carved lead crystal glass and are worth 5 million dollars today (source). electric lights (two 1000 watt light bulbs, one illuminated and the other as a backup) powered by diesel generators came another 48 years later, in 1939. a smaller solar-powered beacon of 6 35-watt globes replaced the main lighthouse in 1994.
the 360 degree view from the tower shows the lantern room from outside (lens window covered with a protective sheet) and the small, new light beacon towards the sea. apparently on a clear day you can see as far as king island (90 km).